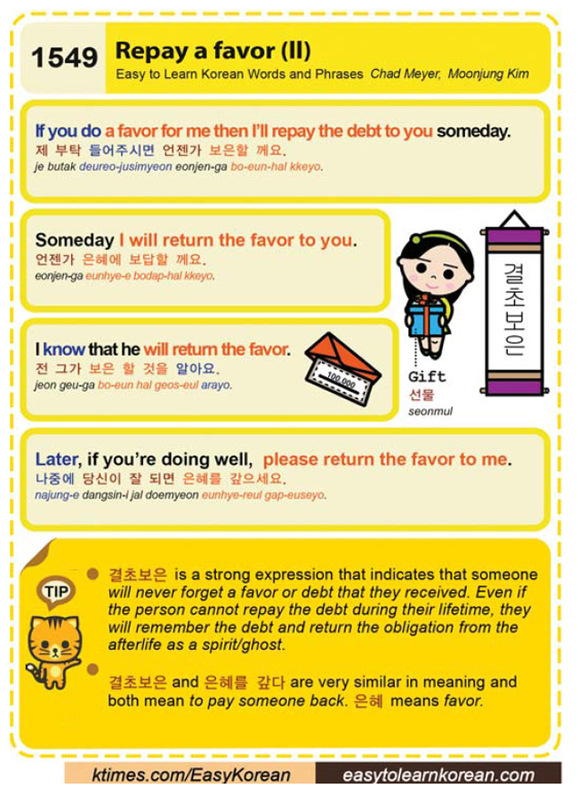 Easy to Learn Korean 1549 – Repay a favor (part two). Posted in Series	| Tagged debt, Favor, gift, I know that he will return the favor., If you do a favor for me then I’ll repay the debt to you someday., if you’re doing well, later, lifetime, please return the favor to me., repay, repay a favor, seonmul, Someday I will return the favor to you., someone will never forget a favor or debt that they received, to pay someone back, 결초보은, 나중에 당신이 잘 되면 은혜를 갚으세요., 선물, 언젠가 은혜에 보답할 께요., 은혜, 은혜를 갚다, 전 그가 보은 할 것을 알아요., 제 부탁 들어주시면 언젠가 보은할 께요. 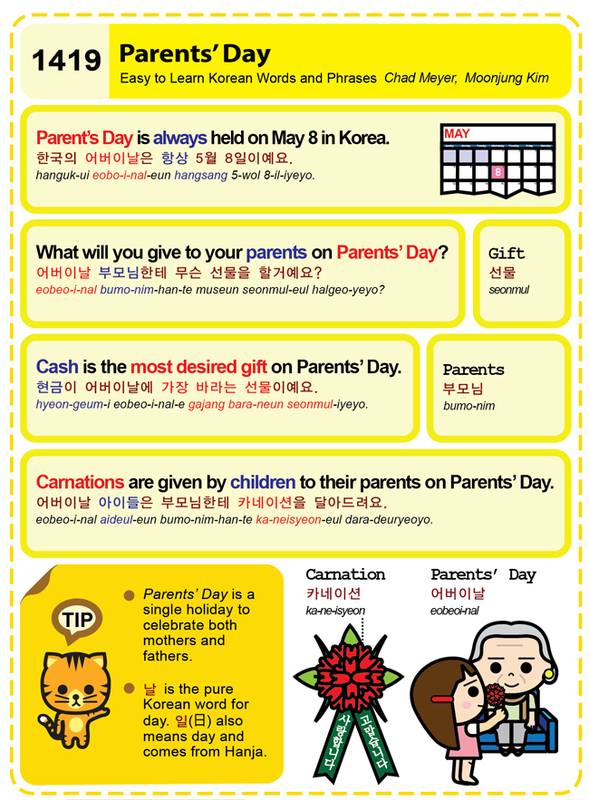 Easy to Learn Korean 1095 – Chuseok gifts.